Are you searching for 12 volt ride on toys but having a hard time trying to find the right one? If so, you’ll be glad to hear that we’ve researched and reviewed some of the best options to save you the hassle. All you need to do is take a look below and read through the main features, pros, cons, age recommendations, and what makes each one stand out. That’s what will provide you with the best idea of which one your child would enjoy playing with the most. You can also find a buying guide section that’s available at the end for even more useful information. By the end of this review, you’ll be feeling fantastic about how to go about choosing the right 12V ride on toy for your kids! This 12V Ride on Car Truck enables one child to sit inside and control the speed by using the foot pedal accelerator that’s available. The different speed settings include low, medium, and high. There’s also a steering wheel that provides kids with total control over the speed and direction that they want to travel in. Parents have also been liking how a remote control is included as it means that they can control the car toy at any time. This is an awesome safety feature that can prevent your kids from getting in any accidents. A seat belt is also available to ensure your child’s safety. There are 14″ traction wheels which have been fitted with a spring suspension system that allows kids to ride it around outdoors without any issues. There are also LED lights and a radio function included. You can even connect your own devices via the aux input. Kids have a blast riding around and singing to their own songs. Kids have been having a blast riding around and listening to music while using this toy car. They’re also able to ride it around outdoors smoothly as a result of the spring suspension system and wheels. The BIG TOYS DIRECT Maserati Style Ride On Car comes with two speeds that include low and high. When kids are using the low speed, they’re able to travel at 2 mph, whereas the high speed setting lets them travel at 4 mph. There is also a remote control included that lets parents take over control of the toy at any point to ensure that your child remains safe. An MP3 audio jack is available which allows you to connect your devices so that kids can listen to their favorite songs while riding. The built-in speakers allow children to hear the songs clearly to sing along to them. We also liked how there are headlights that work and a horn. Kids have been loving how they can ride around and press the horn. It inspires them to play with more creativity. 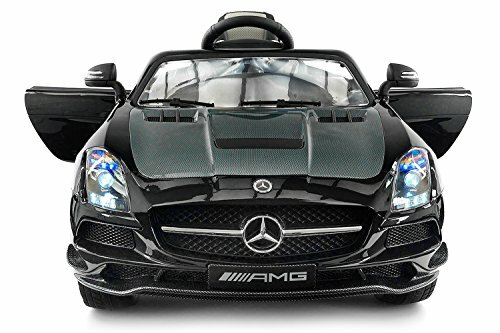 This is an awesome ride on toy for kids that enables them to use the headlights and horns to play with a ton of imagination. Parents are also given a peace of mind by being able to control the toy by using the remote. The 12V 4-Wheeler Ride On ATV Truck features a 4-wheel suspension system which ensures that kids are able to ride on all kinds of terrain without any problems. We also liked how they’ve included a working horn and LED headlights. In addition to this, there’s a storage basket available which lets kids transport their toys around outdoors. As a result, this is an awesome ride on toy that keeps kids entertained and able to play with a lot of creativity for hours. There are 2 speed options available which included low and high. The fastest speed that your kids can travel up to in this one is 4 mph, which keeps it very safe. An MP3 player has been built-in and allows children to ride around while listening to their favorite music. This is highly interactive and ensures that they’ll have a blast for hours on end. Children love being able to ride around and listen to music while turning on the headlights and using the horn. It ensures that they have plenty to play with for hours and be creative. This Ride On Jeep Truck comes with larger wheels and a 4-wheels suspension system. As a result, you can feel confident in knowing that your child can ride it on off-road conditions and have a blast. Children love being able to control the speed and direction of the ride on toy by using the foot pedal and steering wheel. However, we liked how they’ve included a remote control to provide parents with control over the toy too. So, if you spot your child is about to hit something or is losing control, you can take over at any time. There are 3 speed settings available which enable kids to travel at 2, 3, and 4 mph. A reverse function is also available which helps children get out of tight situations. Not to mention, a radio and MP3 player have been built-in. So, kids can ride around and listen to music, which is super exciting. 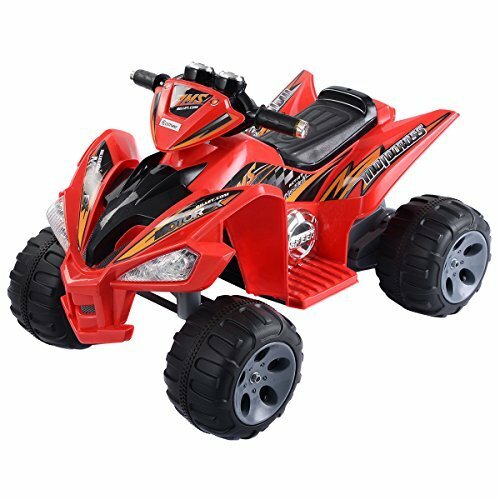 This is an excellent ride on toy that enables kids to ride around on off-road conditions due to the larger wheels and suspension system. The music feature also makes things even more exciting for them. The 2-seater feature that’s available with this Electric Ride On Truck is one of the main features that draw people into wanting to know more about it. We liked how this truck enables your child to drive around with a passenger next to them. It makes the experience more fun! Parents have been liking how the truck toy comes with a remote control. This gives you complete control over the truck at any time. Moreover, if your child is a little too young to control the truck themselves, you can drive them around from the remote. This is a safe option for kids who are between 2 and 6 years old because the top speed is 6mph. We found this to be enough for younger children to have fun with, but not enough to where it could become a danger. A sound system has been implemented into the truck too. Kids can listen to the radio or plug-in devices to the Aux which lets them listen to music as they drive around. Moreover, a screen is available which provides you with information surrounding the battery life and if the lights are on or off. The 2-seater design makes driving this ride on truck toy even more fun for younger kids. Parents can put their toddlers into the car and drive them around with the remote control too! 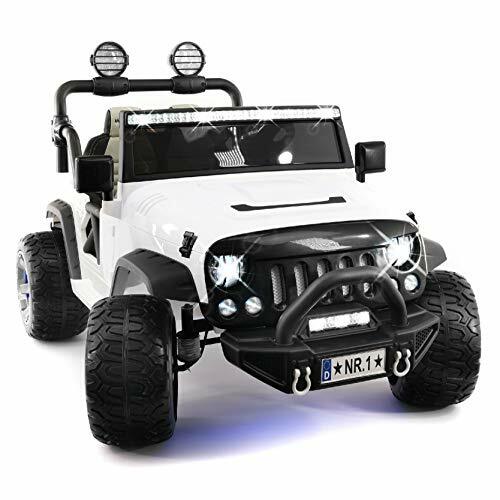 The Costzon Ride On Jeep Car can either be controlled by you or your child. While kids are in control, they’re able to use the steering wheel and foot pedal to ride around however they like. the parental remote control mode provides parents with control over how fast and where their kids ride. There is a low and high speed setting available. So, you can set whichever speed mode that you think is best for your child. An MP3 input is available which allows kids to listen to their favorite songs while cruising around. We liked how this ride on toy provides children with a total of 60 minutes of continuous play after being full charged. Moreover, the seat is comfortable and features a seat belt to keep your child safe. This is a fun ride on toy that lets kids have the freedom to ride around on their own, while also providing parents with a peace of mind as a result of the remote control that’s included. 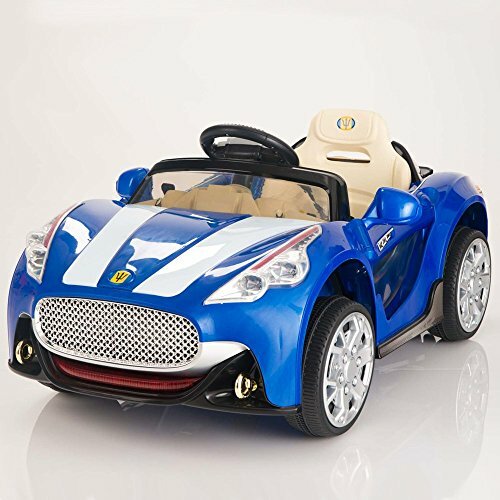 The Moderno Kids Explorer 12V Ride On Toy comes with 2 seats which enables 2 kids to ride around in it at the same time. It can take a maximum weight capacity of up to 100 lbs. Kids have a blast riding around together in this one. There are 2 motor built-in to this ride on toy which provide kids with 2 forward speeds if they were controlling it on their own. However, there’s a remote control available that lets parents control the toy with 3 speed levels. The speeds range from 2-5 mph. The brake system that’s been fitted enables kids to stop safely and reliably every time. Seat belts are available to keep kids safe as well. We also liked how they’re used perforated PU leather materials to make the seats as they’re super comfortable. This is a fun ride on toy that lets 2 kids ride around at the same time. The different speeds available make it super exciting, but it’s also safe due to the parental controls available. 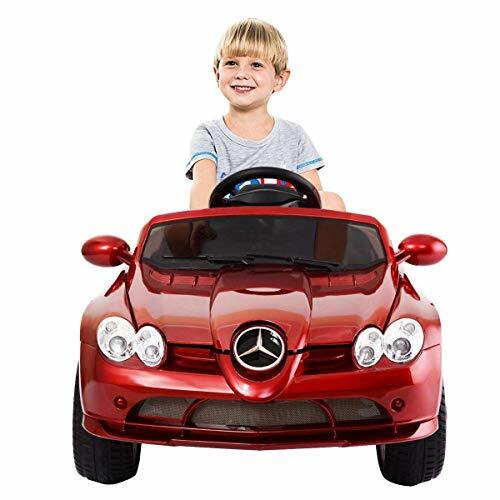 The Costzon Mercedes Bens R199 12V Ride On Car comes with 2 modes. One of them lets kids use the foot pedal and steering wheel to take control. The other one involves parents being in control as a result of the remote that’s provided. So, you can be sure to have total control over the ride on toy to keep your kids safe. When the toy has been fully charged, it’s able to provide kids with 40 minutes of continuous play. Furthermore, the seats are high-quality to ensure that kids remain comfortable while playing for a long time. An MP3 input has been built-in which lets kids listen to their favorite songs while riding around. Moreover, there are working LED headlights which children love using to play when it’s a little dark. This is an exciting ride on toy that lets kids drive around and listen to their favorite songs. Parents are also given a peace of mind in knowing that they can keep control of the toy by using the remote. Giantex’s Kids Ride On ATV Quad Toy Car comes with a 4-wheeler design that lets kids ride it around on off-road conditions smoothly. The durable plastic body also works effectively to ensure that the toy remains durable. Kids can use the foot pedal to move backwards and forwards. The steering wheel that’s available also gives them the freedom to turn the car in any direction they like. We also liked how they’ve included sound effects and working lights. These are highly stimulating for your child’s visual and audible learning skills. It also inspires children to play with more imagination, which is great for their creative thinking skills. Kids have a blast being able to use this one on off-road surfaces to ride around smoothly. The 4-wheeler design makes it a lot of fun – not to mention, the lights and sound effects inspire kids to play with more creativity! This 12V ride on car features a 4-wheeler design that lets kids ride it on trickier terrain smoothly. As a result, you can expect your child’s sense of exploration to develop well, which is great for their creative thinking skills. The tires are larger and the suspension system is of a high-quality which means kids can ride around on grass and dirt. The foot pedal accelerator enables kids to drive the car toy backwards and forwards with 2 speed settings. These include low and high with the max speed being 3.7 mph. A radio has been built-in and there’s an aux input that lets kids listen to their favorite songs while driving around. We liked how they’ve included a working horn and LED headlights. They make the driving experience more realistic and exiting for children. Due to the larger wheels and suspension system, kids are able to ride on rougher terrain and explore more. The horn and lights also make it more fun and help kids to play with more imagination. The SLS AMG Mercedes Benz Car is available in a fantastic carbon black color and comes with LED headlights, fog lights, and tail lights. These features are fantastic for making the ride on car feel more real for kids to play with. There are 2 speed modes available which include low and high. The low mode provides kids with a maximum of 3 mph, whereas the high speed lets kids drive at 6 mph. We liked how they’ve also included parental controls as they enable you to have total control over the toy to keep your kids out of danger. An MP3 player has been built-in which lets kids listen to songs while driving around. We also liked how the braking system is reliable and how there are rubber traction tires. These work effectively to ensure kids can drive with smoothness and safety. This is an awesome looking ride on car that comes with realistic light features that help kids to play with more creativity. Parents are also able to keep their kids out of harms way by using the parental remote control. Ride On Planet’s 12V kids ride on car has been created with strong wheels that are able to support the weight of two children. However, it’s important to consider the maximum weight capacity of the car too, which is 110 lbs. This 12 volt ride on toys 2 seater makes riding around even more fun as your child can share the experience with a friend or sibling. We liked how this ride on car comes with a remote control too. If your child isn’t quite able to control the car on their own, you can take control! It’s an awesome feature that prevents any crashes. This remote control also enables you to bring the car to a safe stop and have complete control over the car from up to 70 feet away. There are 3 different speeds available. These include super-fast, fast, and low. So, there are options for your child to choose depending on their driving experience level. Furthermore, we were impressed with how they’ve included a real metal Spreeng suspension system. This makes the riding experience smoother and more comfortable, especially when going over rougher surfaces. They’ve even included a feature that lets you listen to music which can be a lot of fun for your child as they drive around. Parents have been liking this ride on toy due to the fact that they can control it. So, it’s a great choice for younger kids who haven’t had any driving experience yet. This is another ride on car that has a 2-seater feature. This makes it a lot of fun for kids who are between the ages of 2 and 6 years old. They’re able to drive around with their friends or siblings! We liked how they’ve provided parents with some extra safety assurance by giving them a remote control. This gives parents total control over the car in the case that their child is inexperienced with driving or heading into a collision. Even if your child was controlling the vehicle, the remote control can come in to take over at any time. The top speed that this ride on car can each is 6mph. Kids are able to move backward and forwards and steer the car in any direction. There’s a sound system built-in to this car toy as well. You can connect devices via an Aux plug-in, or listen to the radio. We liked how they’ve also implemented a screen that provides you with information. These include details surrounding the battery life and whether the lights for the car are on or off. The 2-seater design of this car is something that kids have been loving. They’re able to drive around and have a blast with their friends or sibling in the passenger seat. Parents have also been pleased to discover they can have control over the vehicle at any time too. 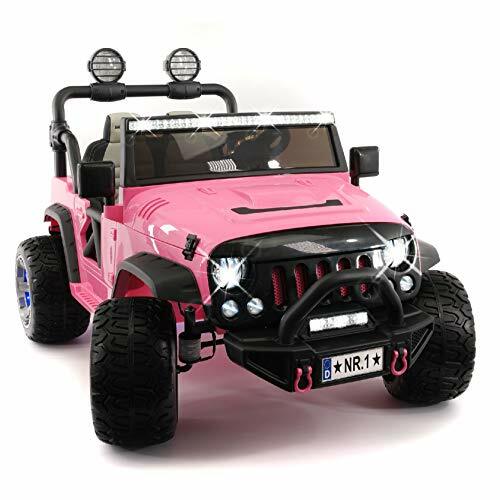 Now that you have a better idea of what some of the best 12V ride on car toys have to offer, you begin to narrow down your search to focus on the ones that you think your child would enjoy the most. If you still aren’t completely certain on the one to go with, you’ll want to check out this buying guide section. We’ve included some valuable information that will prove to be incredibly helpful when it comes to finding that perfect ride on toy for your child. After reading through the review above, you will have seen that there is a number of different kinds of 12V electric cars available. If you were interested to learn more about these different types and what makes them distinguishable from one another, take a look below. We’ve made sure to include a number of sports cars in this review because kids love being able to pretend that they’re driving the real thing. The Maserati and Mercedes options are a lot of fun and encourage children to want to play with them and be outdoors more often. There are some great police car ride on toys available and children can have an absolute blast with them. They love pretending to be police officers and driving around catching criminals. It’s excellent for boosting their ability to play more imaginatively, which is great for their creative thinking skills. As you will have seen when reading the review above, there is a number of 4-wheeler options available. These ones are particularly great for children who want to take their ride on toys on trickier terrain. The 4-wheel design provides them with more control. 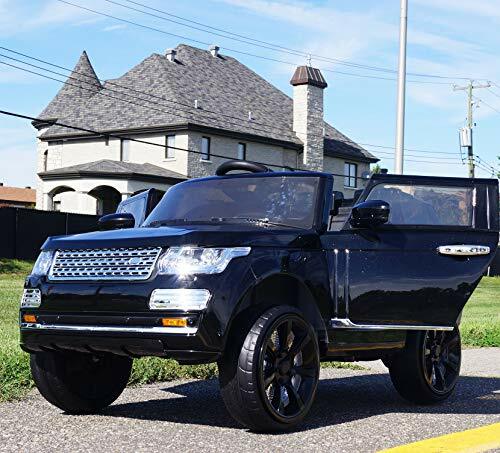 The trucks are also awesome for letting kids ride across tough terrain and they tend to come with a 4-wheel feature that ensures kids have plenty of control. Moreover, they have high-quality suspension systems that make the off-road ride a lot less bumpy. 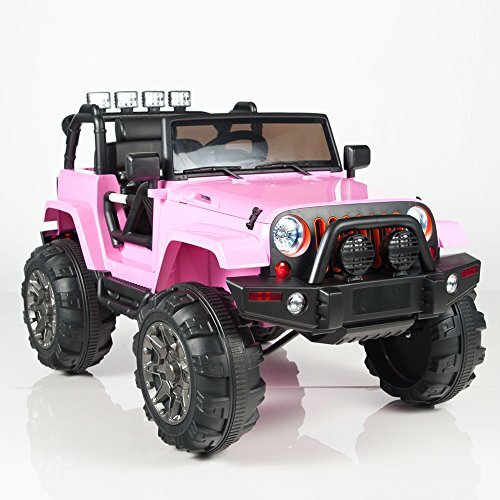 Jeeps are another fun ride on toy for children who want to drive around off-road. Similarly to the trucks, these types tend to come with a 4-wheel feature along with a great suspension system that work effectively to provide kids with a smoother ride. There are numerous motorcycle and dirt bike ride on toys available that young children have been having a blast with. These kinds of ride on toys give kids the opportunity to know how it feels to ride a real motorcycle, which encourages them to play with more creativity. When it comes to ride on toys, there a a few top brands that have gained a fantastic reputation for the quality of toys that they make. To learn a little more about these brands, take a quick look below. Fisher-Price is a well-known company that has been creating high-quality toys for kids for years. When it comes to their Power Wheels range, you can be sure of the quality since they manufacture the toys in their own facilities. Furthermore, they put all of their ride on toys through vigorous testing to ensure that they remain up to standard and are safe for kids. Peg Perego has been in the business for around 60 years and they’ve established a fantastic reputation for kinds of toys that they make. They’re always creating new and innovative toys that kids have an absolute blast playing with. Modeerno Kids is a great brand that creates toys for kids that included a fantastic blend of technology and fun. They have a wide selection of toys available that are both educational and fun for kids to play with. Their ride on toys have been designed to be comfortable and safe for kids to play with, which helps to improve the overall playing experience. Big Toys Direct is an excellent brand that was founded in 2010. They set out with the goal of creating high-quality toys for kids that help them to have fun and play with a lot of creativity. They also know how important safety is, which is why they always include a remote control with their ride on toys. Parents like to have the assurance that they can control the toy at any time to keep their kids safe. 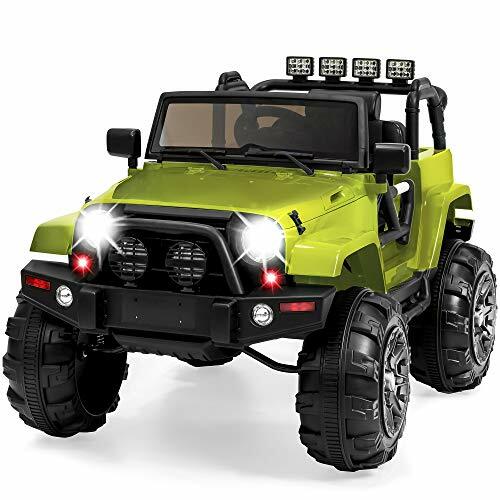 When it comes to finding a 12v ride on toys, one of the main things that you’ll want to take into consideration is the age of the child that you’re buying it for. To learn more about what the best ride on toys are for certain age ranges, have a read of the section below. You can then go back through the review to find the options that are within the age range that you think would be best for your child. 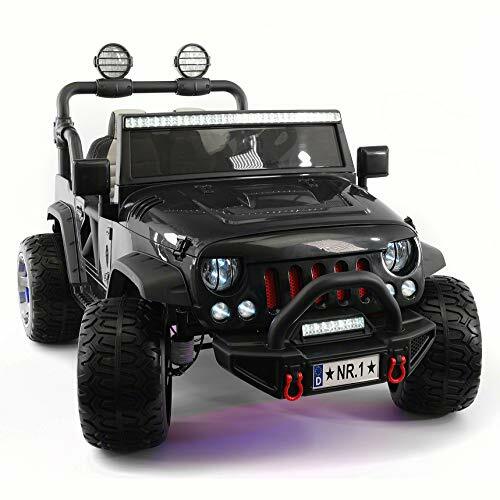 The Best Choice Products 12V Ride On Car Truck w/ Remote Control is a fantastic option for toddlers because it comes with fun LED headlights and allow them to drive on their own. However, it also includes a remote control that parents can use to keep their toddler safe at all times. 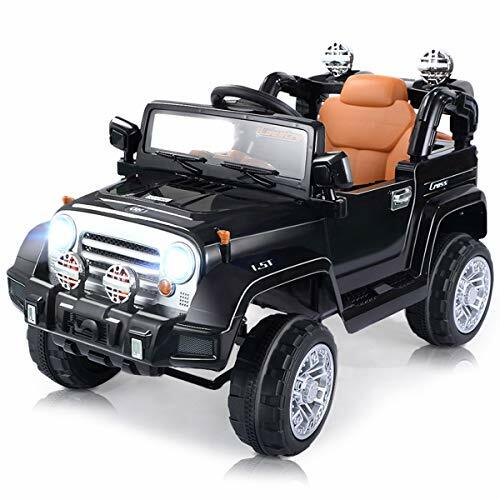 Moderno Kids’ Explorer 2 Seater 12V Power Children Ride-On Car Truck is a great option for 4-8 year old children because it enables 2 people to ride it at the same time. At this age range, children are always looking to make friends and play with other kids, and this ride on toy is perfect for encouraging that. It’s also awesome for improving your child’s social skills. Kids who are 9-12 years old may be looking for something that’s a little more challenging to use. So, something like the 4-Wheeler ATV, Quad or even a dirt bike would be a fantastic option. 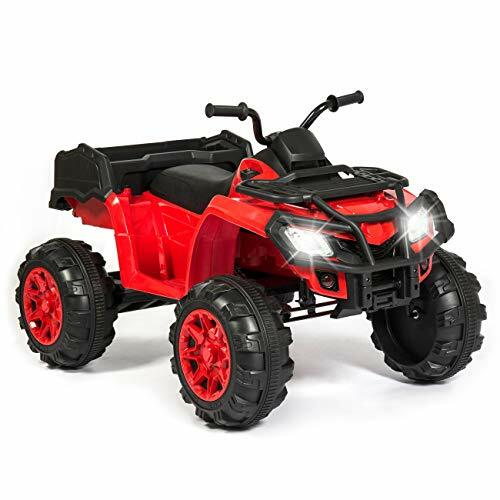 The 4-wheeler design means that kids are able to use the ride on toy to drive across rougher terrain while still being able to maintain control. As a result, they feel encouraged to explore and challenge themselves more. There are a couple of different things that you’ll want to take into consideration when choosing a 12V ride on car for your child. If you were interested to learn more, this is the section for you. One of the main considerations that parents think about when picking a ride on toy car for their kids is how safe it is. You will have seen that most of the options in this review come with a remote control for parents to use. These options provide you with the ability to have total control over the toy car to keep your child safe. Furthermore, many ride on toys come with a seat belt. These work effectively to keep your child safer if they were to bump into anything. If your child plays with their ride on toy continuously over a period of time, it’s likely that the 12V battery will begin wear down. Therefore, it may be a good idea to keep a replacement battery on hand to save on disappointment if the batteries were to die out one day. While many of these 12V ride on toys come with batteries that can be plugged in and recharged, it’s always a good idea to keep some extra ones handy. The power level of the ride on toy that you decide to go with will largely depend on the age of your child. The older your kids, the more power they’ll be able to handle while being safe. With an older kid you’ll want to consider a higher voltage vehicle. However, you’ll want to take careful consideration over the power level of these toys when it comes to kids who are younger. To learn a little more about this, have a read below. 6 volt ride on toys are the best option if you’re looking for something that’s safe for your toddler to play with. This is because the 6V ride on toys have significantly less power compared to the 12V ones. They move at a much slower speed which ensures that toddlers are given the chance to control it better and avoid any accidents. So, that wraps up our review on the top 12 volt ride on toys for kids. Everything that you need to know about the top options and how to go about selecting the right one for your child can be found, right here! If you weren’t feeling 100% certain on which one to select after reading the review, the buying guide section includes a ton of great information that fills in some of the gaps. Hopefully, you’re now feeling more confident than ever about choosing a fun ride on toy for your child.